Ultha is a five-piece black metal band from Cologne, Germany. The band started in early 2014 after the demise of band members’ old bands such as Planks, Goldust, Atka, Ira, etc. 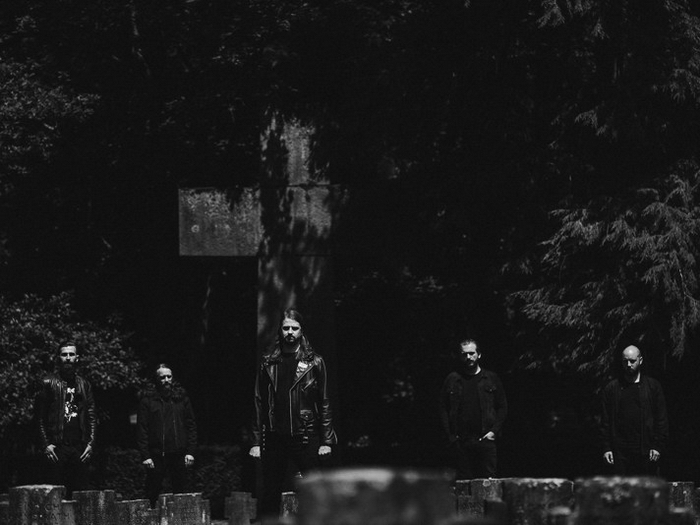 The band set out to derive their own hybrid of Scandinavian and US black metal, (funeral) doom and dark wave melodies. If you can imagine Leviathan and Emperor teaming up with Neurosis to play songs by Fields Of The Nephilim you get Ultha. Split w/ Paramnesia, Lp, Vendetta / Cd, Les acteurs de l'ombre / Tape, Tartarus, 2017. Woe over Roadburn [Live 2017], Live, Tape, Limited edition, S/R, 2017. Rehearsal demos MMXIV/MMXV, Demo, Tape, Limited edition, Distant Voices, 2017. Converging sins, Album, Cd/Lp, Vendetta / Tape, Tartarus, 2016. Bathory tribute, Split w/ Morast, 7", Vendetta, 2016. Dismal ruins, Ep, 7", Vendetta / Tape, Tartarus / Cd, S/R, 2016. Pain cleanses every doubt, Album, Lp, Vendetta / Tape, Tartarus / Cd, Ecocentric/Wolfbiker/Translation Loss, 2015. Rehearsal demos MMXIV/MMXV, Demo, Cdr, S/R, 2015.